The Sweeny Refinery, located in Old Ocean, Texas, 65 miles southwest of Houston, has a crude oil processing capacity of 247 MBD. It processes mainly heavy, high-sulfur crude oil, but also processes light, low-sulfur crude oil. The refinery facilities include fluid catalytic cracking, delayed coking, alkylation, a continuous regeneration reformer and hydrodesulfurization units. The refinery receives domestic and foreign crude oil, primarily through wholly and jointly owned terminals on the Gulf Coast, including a deepwater terminal at Freeport, Texas. It produces a high percentage of transportation fuels, such as gasoline, diesel fuel and jet fuel. Other products include petrochemical feedstocks, home heating oil and coke. The refinery operates nearby terminals and storage facilities in Freeport, Jones Creek and on the San Bernard River, along with pipelines that connect these facilities to the refinery. Refined products are distributed throughout the Midwest and southeastern United States by pipeline, barge and railcar. Merey Sweeny, L.P. (MSLP) is a limited partnership that owns a 70 MBD delayed coker and related facilities at the Sweeny Refinery that produce fuel-grade petroleum coke. Prior to August 2009, MSLP was owned 50/50 by ConocoPhillips and Petróleos de Venezuela, S.A. (PDVSA), Venezuela’s national oil company. Under agreements that govern relationships between the partners, certain defaults by PDVSA with respect to supply of crude oil to the Sweeny Refinery gave ConocoPhillips the right to acquire PDVSA’s 50 percent ownership interest in MSLP. In August 2009, ConocoPhillips exercised that right. PDVSA has initiated arbitration in the International Chamber of Commerce challenging ConocoPhillips’ actions, and the arbitration process is under way. The Houston Chronicle reported on December 28, 2017 that a runaway barge contracted by Phillips 66 to dredge the bottom of the river around a Phillips 66 terminal near Sweeny Refinery was one of two barges and a tugboat that came unmoored on August 28, 2017 in the aftermath of Hurricane Harvey. The barge, 140 feet long, 45 feet wide and weighing 476 tons, went careening down the San Bernard River through Brazoria County demolishing at least 16 docks and boathouses during the rampage. Now, property owners are bracing for a fight over who will pay for the damage. A spokesman for Phillips 66, Dennis Nuss, said the owner of the barge, GSD Companies, and the owner of the tugboat, M&C Oilfield Services, both based in Louisiana, claimed full responsibility for the damage. The Phillips spokesman declined to comment on the timeline of events, including whether the refinery gave the companies ample warning to get the barge and tugboat off the river ahead of the storm. The barge was contracted by Phillips to dredge the bottom of the river around the terminal. The spud barge was connected to a "pot barge," a smaller vessel used to dispose of the sand and silt dredged up from the river. The barges were still docked at the terminal when Harvey made landfall in Texas on August 25, 2017 At some point on August 28, the two barges and tugboat became unmoored from the docking terminal and floated down the river, the rising waters pushing the spuds up from the riverbed and setting it on a path of destruction. More than three months after the runaway barge ran amok on the San Bernard River, the 16 property owners who sustained damage are still trying to pick up the pieces. The lack of a swift response from the parties responsible for the barge has sowed further confusion and frustration. Shelly Stubbs believes the breakdown in communication is a calculated play by the barge and tugboat company to force the affected river residents to take legal action. She wonders if the companies would rather take their chances in a lawsuit against a group of overextended property owners than pay to repair hundreds of thousands of dollars in damage. Any potential lawsuit also could be subjected to a nuance of maritime law called the limitation of liabilities, which states that if a vessel causes damage without the knowledge or direct involvement of its owners, they are not liable for anything more than the vessel's post-incident value. Even for runaway barges, there is precedent for limited liability. In 2011, a district judge in Louisiana ruled in favor of a company that owned a 200-foot barge that came unmoored during Hurricane Katrina, exonerating the company for massive damage that included destruction of several houses and a school bus. "The owner of the barge may be able to escape liability altogether or limit his liabilities to the value of the barge itself," said Thomas Fitzhugh, a maritime law expert and partner at Schouest, Bamdas, Soshea & BenMaier in Houston. "It's been a feature of maritime law for a very long time." Phillips 66 did not respond to requests for comment for this story, and Chevron Phillips Chemical declined to comment because the matter is still under litigation. Phillips 66 Built Dams "in the dark of night" Causing Homes to Flood Says Lawsuit by 350 Sweeny Residents. The Army Corps of Engineers is investigating claims by residents of Sweeny, Texas, that floodwaters were knowingly forced into their neighborhoods when Phillips 66 and Chevron Phillips dammed up two bayous. A lawsuit filed by about 150 families claims that by damming two nearby bayous without warning, the companies knowingly pushed floodwater away from the plant and into neighborhoods. CBS News reported on September 29, 2017 that the Army Corps of Engineers is investigating claims by residents of Sweeny, Texas, that floodwaters were knowingly forced into their neighborhoods when Phillips 66 and Chevron Phillips dammed up two bayous. A lawsuit filed by about 324 families claims that by damming two nearby bayous without warning, the companies knowingly pushed floodwater away from the plant and into neighborhoods. Video shows how the plant stayed dry – and left homes under water. "It was full. I mean, it was almost to the top of where we're standing right now," said lawyer Josh Bowlin. Bowlin represents the families now suing the Phillips 66 and Chevron Phillips. He showed one spot that was dammed and a video of the backhoe that was used to remove the blockage. "I've talked to so many people that if they just had a little bit of notice they could have saved so much," Bowlin said. Chevron Phillips did not respond to repeated requests for comment. But in a statement, Phillips 66 said, "Our priorities during the flood were to protect people and the environment...we do not believe these actions on one side of our property impacted the ongoing flooding event adjacent to the refinery or in the community." "I apologize for the profanity but that's a bunch of bull**** straight up. They made a conscious decision to save their plant but those actions have consequences and they need to be held responsible for those actions," said David Harquist. Residents say disaster struck after the storm had moved on. Floodwaters stopped receding and began rising again -- this time, into the house. "I was shocked. I was like what in the world is going on and then all of the sudden the water came up and it started coming up quickly," Harquist said. According to the Brazaport Facts, the petition alleges Phillips 66, Chevron Phillips and Chevron Phillips Chemical Co. caused flooding in areas near Phillips 66’s Old Ocean refinery by erecting dams on the Linville Bayou and Little Linville Bayou “in the dark of night,” starting August 30, 2017. “These dams gave the water flowing downstream nowhere to flow, except to flood the land and its people surrounding the Sweeny Refinery,” the petition states. Refinery employees “never warned a single Sweeny resident of the imminent danger upon them,” the petition states. The petition also claims “multiple chemical and petroleum spills occurred in Sweeny Refinery and were threatening contamination in the flowing waters.” Bowlin said the contaminants included the carcinogen benzene and wastewater, though analyses of the contaminants still are ongoing. Bowlin said he witnessed the blocked bayous first-hand and is confident evidence will show the refinery’s managers to have been at fault. The dams constructed by refinery workers contributed to flooding in an area that stretched as far north as FM 1301 and as far south as FM 521, Bowlin said. More than 350 residents and businesses have joined in a lawsuit claiming the actions at a Sweeny-area industrial site caused their properties to flood, and that number likely will grow, said Bowlin . 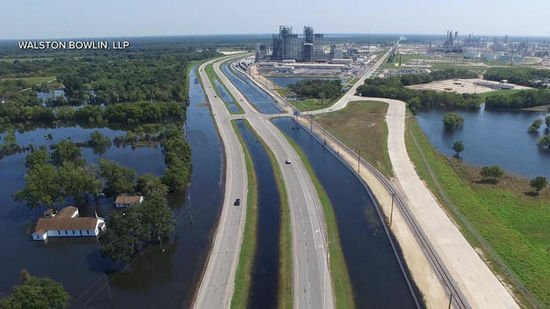 The plaintiffs claim Phillips 66 employees erected temporary dams at the Linnville and Little Linnville bayous to prevent petroleum and chemical leaks at its Sweeny refining and petrochemical complex. The lawsuit alleges the Houston-based energy giant knew the efforts would cause nearby homes to flood, but that they did so anyway without notifying local communities. The lawsuit alleges that Harvey passed through the Sweeny area without causing any significant flooding, leaving residents to believe their properties survived intact. "They were wrong," the suit asserts. Phillips 66 built dams "in the dark of night" on August 30 to protect its massive refining complex. The suit contends that, because of the dams, the water level in Sweeny kept rising and flooded many homes, trapping people inside of their houses. "Unforgivably, defendants never warned a single Sweeny resident of the imminent danger upon them," the lawsuit claims. "Instead, defendants sat quietly even though their hydrologists had told them the town was going to flood because of the dams." ABC Channel 13 reported on September 14, 2017 that homeowners in Brazoria County have filed a lawsuit against Phillips 66 alleging that Phillips intentionally dammed the area around Sweeny Refinery with concrete and boxcars, directing the flow of water into residential areas in Sweeny and nearby Magnolia during Harvey. Plaintiffs also claim the water was contaminated with chemicals from the refinery and are asking for cash damages. Phillips 66 released the following statement to ABC13 regarding the lawsuit: "Phillips 66 is committed to protecting the health and safety of the people involved in our operations and in the communities where we operate. During severe weather events like Hurricane Harvey, we have plans in place to protect our employees, our facilities and our communities. We are aware of concerns from the community suggesting that our actions to protect the refinery contributed to additional flooding in the area. We do not believe that to be the case, however, we are investigating the issue and have been working with local authorities. Although we experienced significant flooding in the refinery, our actions minimized the potential for release of feedstocks and products that could have negatively impacted the community and the environment." My San Antonio reported on September that a large portion of Chevron Phillips' $6 billion expansion at Sweeny Complex is being delayed until next year after Hurricane Harvey's floodwaters created additional problems. The larger Baytown portion of the expansion project, which was originally expected to be finished by now, won't be completed until next year, Chevron Phillips said. The project involves a massive ethane cracker - on a plot the size of 44 football fields - that will separate a component of natural gas called ethane, which will provide the feedstock for some 1.5 million metric tons a year of ethylene, a common building block of plastics. Chevron Phillips said it is now on track to be finished by the end of March with it achieving full production by mid-2018. The Phillips 66-operated Pasadena refined products terminal and connecting pipelines. Reuters reported on September 6, 2017 that Phillips 66 says Sweeny Refinery will return to full production by mid-September. Reuters reported on September 3, 2017 that PPhillips 66 says that 600 people are at Sweeny Refinery assessing and repairing damage from Tropical Storm Harvey in preparation for restarting the plant. Fox Business reported on August 27, 2017 that Phillips 66 is shutting down its 247,000-barrel-a-day Sweeny refinery near Houston due to possible flooding in the area and to keep employees safe. "We are continuously monitoring the progress of Tropical Storm Harvey and preparing for potential flooding over the next several days," the company said in a statement on its website. "To ensure the safety of our employees and due to expected flooding in Brazoria County, we have initiated a shutdown of our Sweeny Refinery in Old Ocean, Texas." The Lake Charles Refinery and Alliance Refinery and other refined product terminals in the Gulf Coast region continue to operate. The U.S. has accused the Maduro government of human rights violations, and President Donald Trump called the turmoil there -- with at least 80 lives lost in street protests in the past two months -- “a disgrace to humanity.” According to Bloomberg, the White House began considering new sanctions after Maduro’s May announcement that he would try to rewrite the country’s constitution in a way that critics said would tighten his grip on power. According to Bloomberg, Gulf Coast refiners including Valero Energy, Chevron Corp. and Phillips 66 have spent millions tailoring their plants to use Venezuela’s unique brand of heavy, tar-like crude. "Disruptions are part of the game in the oil market, and refiners no doubt have backup plans. But the companies may see profit decline if they’re forced to reduce gasoline and diesel output or to find replacement supplies from the Middle East or other regions." Phillips 66, in a statement, said a U.S. ban wouldn’t prevent Venezuela from selling its crude elsewhere on the global market. Phillips 66 bought 46.2 million barrels of crude oil from Venezuela in 2016. According to the US Energy Information Agency, crude oil bought by Phillips 66 from Venezuela is refined at Sweeny Refinery. According to Bloomberg, Phillips 66 bought 46.2 million barrels of crude oil from Venezuela in 2016. According to the US Energy Information Agency, crude oil bought by Phillips 66 from Venezuela is refined at Sweeny Refinery. Fox Business reported on June 2, 2017 that Phillips 66 Sweeny Reingery reported a power blip and emissions. 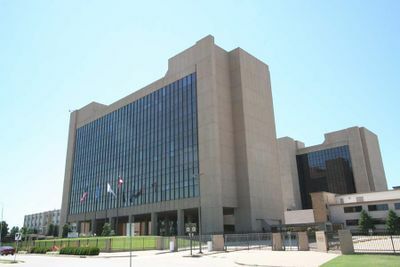 "The deluge system activated at the Cogen Unit causing the GSU2 transformer to arc, resulting in a low voltage power dip," the refinery said in a statement to the Texas Commission on Environmental Quality. "This resulted in the tripping of three transformers on the Electrostatic Precipitator." The refinery said the transformer reset itself and power was restored. "The power blip lasted only seconds but was enough to cause the excess opacity," it said. 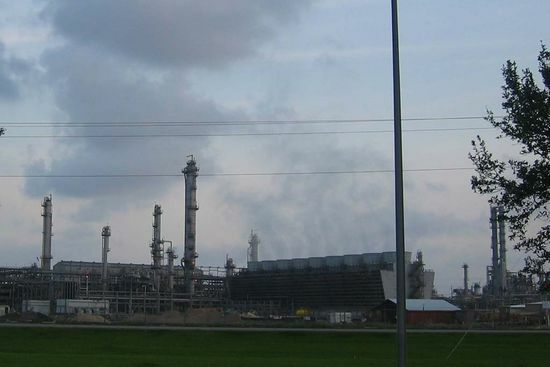 Phillips reported emissions from the coker flare at its Sweeny, Texas refinery on June 21, according to a filing with the Texas Commission on Environmental Quality. The Brazoport Facts reported on June 11, 2016 that Phillips 66 is making a $25,000 grant to the Sweeny Petrochemcial Academy locared in Sweeny, Texas, home of Phillips Sweeny Refinery and Petrochemical complex. “The petrochemical academy will ensure a trained workforce to staff the industrial expansion in Sweeny and Freeport as well as replacing employees electing to retire,” said Phillips 66 Spokeswoman Regina Slaydon. Phillips 66 has supported the Sweeny ISD petrochemical academy since its inception in 2014, Slaydon said, and contributing money to allow as many students as possible to attend furthers that partnership. The facts reported on June 3, 2016 that a piece of processing equipment used for maintenance near a storage tank caught fire at Phillip 66's Sweeny Refinery about 4:45 a.m. “It was contained and extinguished by our internal emergency response team,” spokeswoman Regina Slaydon said. “As a precaution, the company gates were temporarily closed to traffic.” There were no injuries and the equipment was the only thing damaged. Employees were able to entinguish the fire themselves. Nasdaq reported on May 26, 2016 that Phillips 66 reported problems with equipment and emissions at its Sweeny refinery in Texas. "The wastewater plant regenerative thermal oxidizer (RTO) went into standby mode, and the bioreactor tank, Tank 69, vented," it said. "This RTO standby mode is a continuation of operational issues resulting from the May 21, 2016 power failure." Phillips said the emissions began May 24, 2016 and ended May 25, 2016. Phillips reported emissions from a wastewater treatment plant at its Sweeny, Texas refinery on May 25, according to a filing with the Texas Commission on Environmental Quality. Greg Garland told analysts during the 2016 first quarter earnings conference call on April 29, 2016 that development of the first phase for the Sweeny Hub is nearing completion. "The LPG export terminal is 80% complete, is on time and on budget," said Garland. "The completion of the terminal will represent a major step in the development of a world class energy complex within integrated refining, chemical and midstream assets. PSXP remains an important part of our midstream growth strategy the fee based assets within its portfolio continue to perform well." Reuters reported on April 27, 2016 that Phillips 66 says planned work is underway at its 247,000 bpd Sweeny, Texas refinery after an April 22 power malfunction. The Brazosport Facts reported on March 25, 2015 that County Commissioners in Brazoria County have voted to hire a third-party firm to help prepare bidding and engineering documents for the second, third and fourth phases of the agreement with Phillips 66, with a stipulation the refinery shoulder the more than $157,000 in professional services costs for repair costs for roads, all of which fall in either Precinct 1 or Precinct 4 that have been damaged by heavy traffic caused by pipeline construction. Precinct 3 Commissioner Stacy Adams said while he agreed the county should not do the work in-house, he also didn’t think taxpayers should be responsible for the professional services expenses. “In this case, we would not be doing these roads but for the fact that they tore them up. They’d be being repaved over the next five to seven years in the normal course of business with no outside services,” Adams said. “So if any outside services were required, they should pay for them. “They’re saving $100 million in taxes over 10 years. 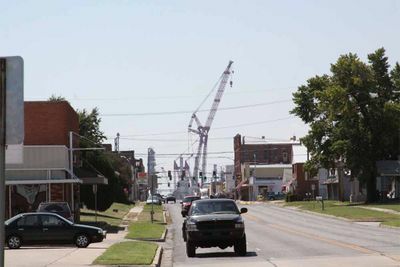 You think $157,000 is going to bother them?” Commissioners decided to ask Phillips 66 to take on the professional services expenses, which County Judge Matt Sebesta said they agreed to do.“These are going to be brand-new roads,” Payne said. Phillips reported emissions from a catalytic reformer and sulfur dioxide emissions from a coker flare, according to a filing with the Texas Commission on Environmental Quality. Phillips reported the waste water treatment unit malfunctioned at its Sweeny, Texas refinery. Phillips reported emissions from flare 29 at its Sweeny, Texas, refinery. Phillips 66 expects to start its 100,000 b/d natural gas liquids (NGL) fractionator in Sweeny, Texas by September 25, bringing online a key component of its planned liquids export terminal in nearby Freeport. The company on Wednesday filed an initial tariff for liquids shipments on pipelines in the Sweeny-Freeport area, which will deliver product including propane and butane from the fractionator to storage caverns along the Gulf coast. Delivery points include the major storage and fractionation hub at Mont Belvieu, Texas and Phillip 66’s Freeport, Texas marine terminal which is expected to start exporting NGLs in 2016. The Freeport terminal will offer an additional outlet for the oversupplied domestic NGL market, with capacity to export 4.4 million barrels of propane and butane per month. Law360 reported on September 10, 2015 that Venezuelan state-owned oil company Petroleos de Venezuela SA (PDVSA ) plans to appeal after a New York federal judge upheld ConocoPhillips' acquisition of its 50 percent stake in a coking unit at a Texas refinery, setting the stage for the latest round in the long-running dispute. Retuers reported on September 8, 2015 that a federal court in New York has upheld a ruling granting U.S. oil and gas company ConocoPhillips sole ownership of a unit at the Sweeny, Texas refinery, ending a long-running dispute over the asset with Venezuela's PDVSA. U.S. District Judge Alison Nathan, in a decision signed last week, wrote that PDVSA's appeal was baseless and confirmed Conoco was the sole owner of the unit, which processes heavy crude oil. A spokesman for Conoco said litigation regarding refining assets was most likely transferred to Phillips 66, which was spun off from Conoco. Conoco and PDVSA formed a joint venture in the late 1990s to run the refining unit. But they went to arbitration before the ICC in 2010 after crude supply interruptions that triggered a contract provision dissolving the pact. Under the terms of the contract, Conoco paid nothing for PDVSA's stake. The breakup clause in the contract said Conoco would gain the stake free of charge if PDVSA's dividends exceeded its capital contributions. Its dividends were $1.1 billion, while its capital contribution was about $270 million, the decision says. Conoco was also obligated to assume PDVSA's debt, which was about $195 million. Phillips reported a pinhole leak on a process unit valve at its Sweeny, Texas refinery, according to a filing with the National Response Center and reported by Reuters on August 24, 2015. Phillips on Friday said it was nearing the completion of a 100,000 b/d fractionator at its Sweeny, Texas refinery. The fractionator is approximately 90 percent complete and expected to start-up in the fall of 2015, the company said according to a report from Reuters on July 31, 2015. Nasdaq reported on May 27, 2015 that the roof of a tank at one of its product terminals at Sweeny refinery was damaged Wednesday by heavy storms that have been lashing Texas in recent days. "The gasoline is being drawn down to minimum level and all liquids pumped-off the tank roof," Phillips 66 said in a filing to the Texas Commission on Environmental Quality. The tank had an external floating roof, which floated on the surface of the gasoline. Phillips has pushed back its final decision on whether to build a condensate splitter in Texas “at least a year” to late 2016, the company’s CEO said on Thursday. The company had said final decisions on whether to build the splitter and other projects had been postponed to better gauge customer interest in light of lower oil prices. Garland said during a quarterly earnings call that those decisions on the splitter and a second fractionator at the company’s 247,000 barrels per day refinery in Sweeny, Texas will come next year according to a report by Reuters on April 30, 2015. FuelFix reported on April 30, 2015 that Phillips 66 has shelved plans to build a new condensate splitter at Sweeny Reinery with the project placed on the back burner for at least a year until prices recover, company officials during an earnings call with investors. Phillips 66 also said it will similarly push back plans for a second fractionator, which separates natural gas liquids into its component parts. The first fractionator, under construction at the company’s Sweeny refinery, is slated to start operations later this year. Phillips reported the restart of multiple units at its Sweeny, Texas, refinery after they were shut Saturday due to a power outage caused by a severe thunderstorm in the area, according to a filing with the Texas Commission on Environmental Quality. The filing added that charge was also reduced to certain units before they were brought back online. The filing listed a sulfur recovery unit, crude units, fluid catalytic cracking regenerator, and a hydrotreater as sources of emissions due to the to the incident reported by Reuters on April 26, 2015. Phillips reported a unit 3 wet gas compressor trip at its Sweeny, Texas refinery, according to a filing with the National Response Center on April 13, 2015. Retuers reported on April 7, 2015 that Phillips 66 has scheduled up to two weeks of unexpected maintenance at its 247,000 bpd refinery in Sweeny, Texas. This will reduce local demand for Permian Basin crude that will now either be pumped to Cushing or shipped to Gulf Coast refiners. Phillips reported the shutdown of the fluid catalytic cracking unit (FCCU) at its Sweeny, Texas, refinery on Saturday, according to a filing with the state pollution regulator. Phillip 66 reported emissions from an Aeration Tank at Sweeny Refinery on February 12, 2015. Phillips said on Thursday that it was planning to start up the 100,000 b/d fractionator at its Sweeny, Texas, refinery in the second half of 2015. Work on the fractionator is more than 50 percent complete, the company said. The Facts reported on January 22, 2015 that competing with with other companies, such as Dow Chemical Co., BASF and Freeport LNG, to attract the younger workers in the Sweeny area can make it difficult to find new, younger employees, but with the Petrochemical Academy, but according to Sweeny Refinery manager Willie Tempton Phillips 66 is able to control its future by training the next generation right in its own backyard. “They’ve got the technology, the staff and people to provide the industry with an abundance of well-trained and capable potential employees,” said Tempton. The facility opened its doors to Sweeny High School students at the start of this school year in August. Sweeny ISD students can take dual-credit courses at Brazosport College while attending high school, Chevron Phillips Chemical Sweeny Complex Plant Manager Wayne McDowell said. Students who enroll in these classes will gain practical college-level skills, and do it before graduating high school. 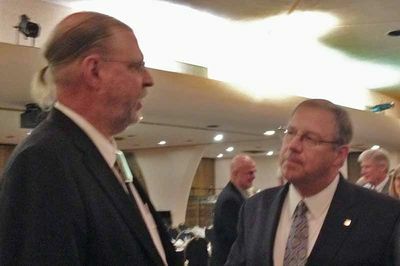 “We need everyone here and more to help us bring awareness to the young people that opportunities do exist in the petrochemical manufacturing industry,” McDowell said. Argus reported on December 8, 2014 that Phillips 66 has filed an initial construction permit for a simplified condensate splitter at Sweeny Refinery that would allow it to process condensate to break it down into naptha and other products. The permit application filed earlier this month with the Texas Commission on Environmental Quality identifies the project as a "simplified condensate splitter unit" and is a step in the company's ongoing study of the project. The splitter, as well as an Eagle Ford crude and condensate pipeline and a second 110,000 bpd fractionator at the refinery site "are currently in the engineering design and permitting phase," spokesman Dennis Nuss said. Phillips 66 executives have said the company is evaluating the export of condensate, a super-light form of crude oil. Reuters reported on September 3, 2014 that Phillips 66 began a planned overhaul on a gasoline-producing fluidic catalytic cracking unit at Sweeny Refinery, according to energy intelligence service Genscape. Phillips had filed notice with the Texas Commission on Environmental Quality that it would begin planned work on the 78,000 bpd FCCU as required every five years. Greg Garland told analysts at Barclays CEO energy-Power Conference on September 3, 2014 that Phillips wants to prevent a reccurence of the electrical problems that plagued Sweeny in the first and second quarters of 2013. "We took out our other equity owner, 50% owner of the 440 megawatt Cogen facility at Sweeny. when you think about the existing investment we have, the new investment going in at Sweeny, both from PSX and also CPChem, we want to make sure we harden that electrical infrastructure. You remember in the first quarter and second quarter of last year, we had some issues, mostly related to our third-party providers. We want to ensure that we've got that well in hand and we don't have that ever happen to us again and so that was part of the reason for that. FuelFix reported on July 31, 2013 that Phillips 66 underperformed in the second quarter as its earnings dropped 19 percent because of higher costs for oil and outages that shut down key facilities. The refinery at Sweeny had two power outages that were a major problem. “We had a second power outage in the second quarter and in my view that’s unacceptable,” Garland said. The refinery is powered both by an on-site generation facility and by a power company. The power company was the cause of the two outages. “To me, personally, the biggest disappointment in the quarter was having a second power outage at Sweeny,” Garland added. Jordan Blum reported in the Houston Business Journal on August 13, 2014 that Phillips broke ground on its $1 billion liquefied petroleum gas export terminal — its first ever — in Freeport to sell propane, butane and more to international markets. The project, which is expected to be completed in mid-2016, will export 4.4 million barrels of fuel a month to countries in Europe and Asia. The terminal will get the fuel from its Sweeny complex in Old Ocean and its Gulf Coast Fractionators facility in Mont Belvieu. "We are investing, we are building and we are growing," Phillips 66 Chairman and CEO Greg Garland said at the groundbreaking. "The projects we're breaking ground on … total more than $3 billion of investment for our company, … and it's happening right here in our own backyard in the communities of Sweeny and Freeport." Freeport has advantages over operating out of the Houston Ship Channel because Freeport is 3 miles from deep water, compared to 50 miles for the channel says Jim Webster, Phillips 66’s general manager of midstream. FueldFix reported on July 10, 2014 that Phillips will increase its 2014 capital budget by $1.2 billion for 2014 in order to fund its liquefied petroleum gas project as well as a recent acquisition. The increase will allow the company to put more cash towards the development of a new fractionator at its Sweeny refinery and a liquid petroleum gas export terminal in Freeport, among other projects. The fractionator is expected to come online in the third quarter of 2015, and the export terminal is expected to be operational in mid-2016. The fracionator will separate natural gas liquids into components including ethane, propane and butane. Some of those products will then be exported as liquefied petroleum gas from Freeport. The entire project is slated to cost $3 billion. Fuelfix reported on May 28, 2014 that the International Chamber of Commerce’s Court of Arbitration has upheld Phillips 66’s right to exercise a call option in 2009 and assume Petroleos de Venezuela SA's (PDVSA) interest in Merey Sweeny LP. The partnership owns a 70,000-barrel- per-day delayed coker and related facilities at the refinery. “Certain defaults by PDVSA with respect to supply of crude oil to the Sweeny refinery triggered the right to acquire PDVSA’s 50 percent ownership interest,” says Phillips spokesman Rich Johnson. State-owned PDVSA initiated arbitration with the ICC, claiming the exercise of the call right was invalid. “Since there is not a lot of crude imported into the U.S. anymore, this decision hurts PDVSA on several fronts. First, the company loses the refinery and production, and secondly it loses the opportunity to bring crude into the refinery,” says Carl Larry. Phillips reported two compressors tripped because of a low lube oil pressure shutdown at its Sweeny refinery in Texas, according to a filing with the Texas Commission on Environmental Quality. The refinery operators were working to get the compressors back online, the filing said. Dan Murtaugh reported at Businessweek on March 20, 2014 that Phillips is considering building a condensate splitter at its Sweeny refinery to separate ultra-light crude oil into unfinished products that could be exported overseas, sold to refineries or blenders, or provide feedstock to run more downstream units at full capacity. Sweeny, which is distilling about 255,000 barrels of crude a day, doesn’t produce enough unfinished or intermediate products to fill all of its secondary units such as fluid catalytic crackers, refinery General Manager Willie Tempton Jr. said. Products from a splitter could go into those units. Sweeny is relatively isolated, making it more difficult to obtain intermediate feedstocks from outside, said Chris Chandler, Phillips 66’s general manager of natural gas liquids. Bloomberg reported on March 6, 2014 that British Petroleum had signed on to take at least 80 percent of the capacity of a new $360 million mini-refinery in Houston that will process crude just enough to escape restrictions on sales outside the country. “It’s a relatively inexpensive way around the export prohibition,” says Judith Dwarkin “You can lightly ruffle the hydrocarbons and they are considered processed and then they aren’t subject to the ban.” "The international buyers of these products will likely need to refine them further, so this is basically a veiled form of condensate exports,” said Leo Mariani. According to Bloomberg, three additional plants have been proposed by other pipeline or trading companies, and refiners including Valero and Phillips said they may follow suit. Dan Murtaugh reported at Businessweek on March 20, 2014 that Phillips is expanding natural gas liquids and export capabilities at Sweeny Refinery by preparing the ground for Phillips' first wholly-owned fractionator, which by 2015 will be able to convert about 100,000 bpd of mixed NGLs into ethane, propane, butane and natural gasoline. Greg Garland told security analysts at the Credit Suisse Global Energy Summit on February 12, 2014 that Phillips has plans to process more Eagle Ford crude at Sweeny and Alliance Refineries. "One of the things we find with the Eagle Ford crude, you hit limits because of bottleneck issues. So even in Alliance, which is 230 a day light sweet refinery, we hit limits of how much Eagle Ford we can process there. So we have projects at Alliance to debottleneck that if you will so we can process more Eagle Ford at Alliance. Similarly, Sweeny, these are projects that are $30 million or $40 million where you can take existing equipment, reconfigure, do a pre-flash tower, and we can get an incremental 5,000, 10,000 barrels a day through. But we're not going to invest $500 million or $600 million or $1 billion in adding capacity to do that. It'll be very incremental around the margin for us. So you should expect we can move to 350 to 360 and 370 maybe, but we're not going to take it to 500." Reuters reported on November 15, 2013 that Phillips has warned of emissions from a fluidic catalytic cracking unit regenerator stack because of planned work at Sweeny Refinery. The planned maintenance will be performed to dislodge catalytic fines that have collected on the electrostatic precipitator grid. Garland told analysts at the third quarter earnings conference on October 30, 2013 that the decrease in other heavy crude from 27% to 24% is attributed mainly to the downtime at Phillips' Lake Charles and Sweeney refineries this year. "We are working with the third-party power supplier to upgrade their systems, their networks, we are looking at what we can do within refinery to recover from one of these incidents quicker around our own systems and balances," said Greg G. Maxwell, EVP, Finance and CFO. "There is a co-gen unit at Sweeny, it’s running sort 350,000 megawatt and we’ve used about 125,000 megawatt at the complex. So we are looking to say, what can we do to island that facility, technically it’s possible, practically difficult, but it can be done we’re working and then finally we are working to get a second supplier power into that complex. So that should be an event that is not repeated in the future. And so I think if you think for me personally and the biggest disappointment in the quarter was having a second power outage at Sweeny, which by the way impacts all the way across our businesses, so we had the refinery down, all the ethylene units were down, the frac was down. So it impacted all three business platforms that we had, and so we’ll absolutely get that one fixed." Greg Garland told analysts at Phillips 2nd Quarters earnings conference on July 31, 2013 that Phillips has opportunities at the Sweeny Refinery, Alliance Refinery, and Lake Charles Refinery to make some modifications and process more light oil through these facilities and with minimal capital investment. "We are looking for 40% return type projects on the refining side. And so we’re looking for quick hit, fast payout projects. We have some underutilized equipment that we can kind of tie together and use that all and so we've got some projects around that that we are executing." Garland added that the projects are already underway. "We actually do things like tie-ins and turnarounds and some other things. So, it kind of depends on the schedule and things that are available, but those are our plans that we have in place to make those margin in some of our refining system already." According to a filing with the National Response Center, two fluid catalytic cracking units (FCCUs) released hydrogen cyanide July 1. The report did not give a status on the FCCUs. Phillips 66 reported flaring at its Sweeny refinery June 11 after the Unit 29.2 Delayed Coker Pressure Indicated Controller (PIC) valve opened due to a controller failure, according to a filing with the Texas Commission on Environmental Quality. The Unit 29.2 Delayed Coker and Unit 29 Flare are listed as sources of emissions. Retuers reported on May 29, 2013 that Unit 35 shut down at the Sweeny Refinery and that intermittent flaring occurred. Phillips said a furnace problem caused Unit 35, previously identified as an Aromatics Unit, to shut down, a filing to Texas state environmental regulators. Aromatics, which are produced in the catalytic reforming of naphtha, are used in the production of petrochemicals and can be added to gasoline to raise its octane rating. Refinery operations personnel routed the emissions caused by the event to several of the plant's safety flare stacks intermittently throughout the day and worked to bring Unit 35 back on line. The emissions event lasted just under 12 hours. Phillips 66 reported that Unit 35 furnace at its Sweeny refinery tripped when a stack damper stuck in a closed position, which caused Unit 35 to shut, causing flaring, according to a filing with the Texas Commission on Environmental Quality. Intermittent flaring related to this incident continued for about 9 hours on May 28. Christine Harvey reported on Bloomberg on May 20, 2013 that Sweeny Refinery is operational again as Phillips completed a restart of the refinery after a power failure on May 11, 2013 caused the plant to temporarily shut down and flare gases, according to Rich Johnson, a company spokesman based in Houston. Fox Business reported on May 11, 2013 that according to a government filing Phillips shut down some units and decreased production on others on May 11, 2013 after a power outage at its Sweeny refinery. Units affected included the 25.2 crude distillation unit--one of the first steps in the oil refining process--and the 27.1 fluid catalytic cracking unit, a key gasoline production unit. The power outage started at 9 a.m. local time and was triggered by a larger outage in Texas and New Mexico. "This is an ongoing event," Phillips 66 said in the filing. Fox Business reported on May 12, 2013 that Phillips announced on May 12, 2013 that it would take "several days" to fully restart its Sweeny refinery in Old Ocean, Texas, after a power outage on May 11, 2013. "Power has been restored and the refinery is in the process of restarting, which is expected to take several days to complete," said Phillips 66 spokesman Rich Johnson. Phillips 66 reported a transformer malfunction near the Crude Unit No. 25.1 at its Sweeny refinery caused the unit to shut down, and forced operators to reduce rates, according to a filing with the Texas Commission on Environmental Quality. During this event, operators de-energized the Unit 27 fluid catalytic cracking unit (FCCU) electrostatic precipitator, causing emissions from the Unit 27 FCCU regenerator and Unit 27.1 FCCU regenerator. Operators later restored the FCCU electrostatic precipitator to normal service. On April 19, energy intelligence service Genscape reported the shutdown of a 123,500 b/d crude distillation unit and a 47,000 b/d FCCU at the refinery. Phillips 66 reported that several units at its Sweeny refinery shut down the morning of April 16 following a loss of most of the plant’s steam supply, according to a filing with the Texas Commission on Environmental Quality. The steam loss was caused by an interruption in the natural gas supply to the adjacent cogeneration unit, which resulted in the shutdown of all the cogeneration turbines operating at the time. Operators were investigating the cause of the natural gas supply disruption. Following the loss of most steam, the refinery followed established steam shedding procedures and shut certain units down in a safe and controlled manner, which resulted in flaring. A backup boiler provided sufficient steam to allow some units to continue to operate. The natural gas supply to the cogeneration turbines was restored, and refining units re-started in a sequence to minimize emissions. Operators reported the refinery had resumed normal operations by the April 17. Nasdaq reported on April 12, 2013 that Unit 38 tripped on April 9, 2013 while a depressure valve was being serviced at Sweeny Refinery according to a filing with the Texas Commission on Environmental Quality. Nasdaq reported on March 26, 2013 that Phillips in a filing with the National Response Center reported a compressor problem on March 25, 2013 at its Sweeny Refinery resulting in lower production rates. Bloomberg reported on March 11, 2013 that Phillips released an unknown amount of hydrogen sulfide, sulfur dioxide and benzene at its Sweeny, Texas, oil refinery because of flaring after a power outage. Fox News reported on March 14, 2013 that power at Sweeny Refinery has been fully restored and the plant is in the process of restarting after a third-party provided power failure on March 10. It will take several days for the refinery to reach normal operations, a Phillips 66 spokesman said. Phillips was restarting production units including a pipestill and sulfur recovery unit (SRU) at its Sweeny refinery on February 25, according to sources familiar with the operations. Several production units were shut in early January for planned work initially scheduled to run four weeks, but operators extended the work by two weeks for additional repairs. Sources had previously reported the refinery was on February 22 restarting a 124,000 b/d crude distillation unit and a coking unit. A Phillips 66 spokesman said February 25 that maintenance was still underway. Phillips 66 was restarting a 124,000 b/d crude distillation unit (CDU) and a coking unit at its Sweeny refinery on February 22, according to sources familiar with refinery operations. Operators began restarting the units earlier in the week and expected initial production to begin this week, with full production restored by mid-March. The CDU and coker were shut in early January for planned work initially scheduled to run four weeks, but operators extended the work by two weeks for additional repairs. 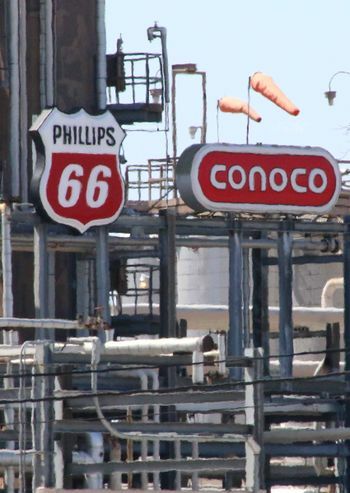 Phillips 66 reported reported emissions from a coker and from the Unit 27 FCCU on February 18 were due to a malfunction in the instrument air header, which led to a decision by operators to de-energize the electrostatic precipitators and thus created excess emissions. Greg Garland told analysts at the 4th quarter earnings conference on January 30, 2013 that Phillips has completely backed out imports of U.S. light sweet crude in the Gulf Coast refineries including Sweeney. 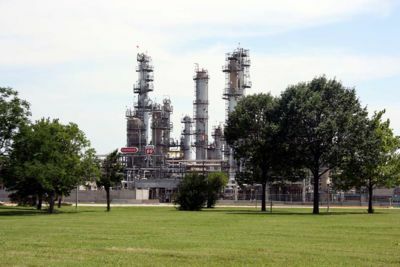 Phillips 66 reported a compressor on Unit 26.2 at its Sweeny refinery tripped, according to a filing with the Texas Commission on Environmental Quality. Tim Taylorl reported at the Phillips Third Quarter Earnings Conference on October 31, 2012 that Phillips had reached agreement with Kinder Morgan to deliver up to 30,000 barrels per day of Eagle Ford crude via a new pipeline connection to our Sweeny refinery in early 2014. "That's actually a project or a connector pipeline that's relatively short that will be built by Kinder Morgan. And so that's a throughput pipeline connection agreement that we have specifically for that." Nasdaq reported on October 1, 2012 that Philips restarted process units at its Sweeny Refinery on September 30, 2012 following an early morning power outage. The outage caused flaring and opacity as some units shut down; some went into circulation mode, and some reduced charge rates, a government filing said. Reuters reported on September 11, 2012 that there was a benzene release from a thermal oxidizer Sweeny Refinery, according to a filing with national pollution regulators. PR Newswire reported on August 23, 2012 that Kinder Morgan plans invest $90 million to build a 27-mile, 12-inch diameter lateral pipeline to extend its Kinder Morgan Crude Condensate (KMCC) pipeline to transport Eagle Ford crude and condensate to Phillips 66’s Sweeny Refinery. The pipeline will have an initial capacity of 30,000 barrels per day (bpd) of capacity, expandable to 100,000 bpd. “This pipeline lateral will provide yet another attractive delivery point for customers of our KMCC pipeline while providing Phillips 66 with enhanced access to price-advantaged Eagle Ford crude and condensate,” said KMP Products Pipelines President Tom Bannigan. Kinder Morgan’s crude/condensate pipeline, which was ready for service in June 2012, already transports crude/condensate from the Eagle Ford shale to the Houston Ship Channel through 65 miles of new-build construction and 113 miles of converted natural gas pipeline. “This agreement aligns with a fundamental part of the Phillips 66 business strategy to get advantaged crude to our refineries,” said Glenn Simpson, general manager, Phillips 66 Crude & International Supply. The Eagle Ford formation is located close to the U.S. Gulf Coast and the largest concentration of U.S. refineries. Eagle Ford crude was priced at $93.75 a barrel on Agust 22, 2012, about a $3 discount to U.S. crude benchmark West Texas Intermediate and a $19 discount to Louisiana Light Sweet. Phillips 66 reported it would begin repairs on August 2, 2012 to fix a short circuit detected this week at its Sweeney refinery, according to a filing with the Texas Commission on Environmental Quality. The short circuit was causing a portion of the rapper system to operate abnormally and had ultimately led to emissions, the filing said. After locating the problem and making the necessary repairs, operators will return the system to service. The filing lists a fluid catalytic cracking unit (FCCU) as a source of emissions, which were expected to continue until August 9. Phillips reported during their second-quarters earnings report on August 1, 2012 that Phillips wants to move the shale crudes from 120,000 to ultimately 450,000 to 460,000 barrels a day and has a plan to get advantaged crude into most of Phillips' refineries. "We are trying to get those crudes to every refinery we can," said Phillips CEO Greg Garland. "Sweeny about 40,000 barrels a day." CNBC reported on August 23, 2012 that Phillips 66's Sweeny, Texas, refinery will take 30,000 bpd of Eagle Ford oil beginning in 2014 when Kinder Morgan Energy Partners completes a $90-million extension of a pipeline to the plant, which is 66 miles south of Houston. Light, sweet Eagle Ford crude is lower-priced than other global crudes, which increases profitability for refiners by cutting their crude costs. Eagle Ford crude was recently priced at $93.75 a barrel, about a $3 discount to U.S. crude benchmark West Texas Intermediate and a $19 discount to Louisiana Light Sweet. On July 25, 2012 Reuters reported that the Fluid Catalytic Cracking Unit (FCCU) restarted at the Sweeney Refinery on July 16, 2012. Reuters reported on June 13, 2012 there was a Coker Flare at the Sweeney Refinery on July 12, 2012. Businessweek reported on July 12, 2012 that the refinery reported emissions from coker and fluid catalytic cracker No. 3, according to a filing with the Texas Commission on Environmental Quality. The maintenance event began yesterday at 6:22 a.m. local time and lasted until 11:22 a.m. today, the company said. Reuters reported on June 13, 2012 there was unplanned work at the Sweeney Refinery on July 5, 2012. Reuters reported on July 1, 2012 that Phillips repaired leaks on a portion of the gasoline-producing fluidic catalytic cracking unit on June 30 and July 1 after the refinery found oil oozing from welds on a box attached to the unit's riser to repair a hot spot found between a month and two months ago, according to a notice the refinery filed with state pollution regulators. Additional welding was done on the box to repair the leaks, but the work resulted in increased release of particulate matter and carbon monoxide. Reuters reported on May 13, 2012 that the Sweeny refinery restarted on May 12, 2012 after a power outage hit the refinery affecting the sulfur recovery unit according to a notice the refinery filed with Texas pollution regulators. ↑ ConocoPhillips. "US Refining as of March 31, 2011"
↑ Houston Chronicle. "Runaway barge during Harvey leaves Brazoria County boathouse, dock owners with costly mess" by Nick Powell. December 28, 2017. ↑ Brazapot Facts. "More plaintiffs join Sweeny flooding lawsuit" by Sam Liebl. December 10, 2017. ↑ CBS News. "Texas homeowners say refinery, chemical plant pushed floodwaters into neighborhood" September 29, 2017. ↑ Brazaport Facts. "Lawsuit blames refinery for Sweeny flooding" September 29, 2017. ↑ Houston Chronicle. "Sweeny residents' lawsuit blames Phillips 66 for Harvey flooding" by Jordan Blum. September 29, 2017. ↑ ABC 13. "Brazoria Co. homeowners sue Phillips 66 over flooded homes" September 14, 2017. ↑ My San Antonio. "Hurricane Harvey delays parts of Chevron Phillips petrochemical expansion" September 20, 2017. ↑ Reuters. "In Harvey's aftermath, a flood of emotions as rebuilding begins" September 6, 2017. ↑ Reuters. "Phillips 66 repairing storm damage at Sweeny refinery" September 3, 2017. ↑ Fox Business. "Phillips 66 Shutting Sweeny Refinery Near Houston" Sugust 27, 2017. ↑ Bloomberg. "Goldman Was Vilified in Venezuela for Something Big Oil Does Every Day" by Catherine Traywick, Lucia Kassai, and Noris Soto. July 11, 2017. ↑ US Energy Information Agency. "Imports of all grades of crude oil from Venezuela to Phillips 66" Data accessed on July 11, 2017. ↑ Bloomberg. "Who’d Lose Most From U.S. Ban on Venezuela Crude? : QuickTake Q&A" July 18, 2017. ↑ Fox Business. "Phillips 66 Reports Power Blip at Sweeny Refinery in Texas" June 2, 2017. ↑ Brazosport Facts. "Phillips 66 considering Sweeny site for $1.3 billion project" by Erinn Callahan. March 2, 2017. ↑ Brazoport Facts. "Phillips 66 donates $25,000 to Sweeny ISD petrochemical academy" by Andy Packard. June 11, 2016. ↑ The Facts. "Small fire at Phillips 66 Refinery" June 3, 2016. ↑ Nasdaq. "Phillips 66 Reports Equipment Problems at Sweeny Refinery in Texas" May 26, 2016. ↑ BusinessWire. "Phillips 66 Partners Announces Acquisition of Standish Pipeline and Remaining 75 Percent Interest in Sweeny Fractionator One and Clemens Caverns" May 4, 2016. ↑ Seeking Alpha. "Phillips 66's (PSX) CEO Greg Garland on Q1 2016 Results - Earnings Call Transcript" April 29, 2016. ↑ Business Recorder. "GULF COAST REFINERY OUTAGES BEGINNING TO PILE UP" by Shoaib-ur-Rehman Siddiqui. April 27, 2016. ↑ Brazoria Facts. "Phillips 66, county to partner on road repairs" March 25, 2016. ↑ FuelFix. "Phillips 66 delays Sweeny startup after mechanical failure" by Jordan Blum. October 16, 2015. ↑ Law360. "PDVSA Appeals Conoco's Right To Buy Stake In Refinery Unit" by Matt Sharp. September 10, 2015. ↑ Reuters. "U.S. judge upholds Conoco as sole owner of coker at Sweeny refinery" September 8, 2015. ↑ Nasdaq. "Storms Damage Gasoline Tank at Phillips 66 Texas Terminal" May 27, 2015. ↑ FuelFix. "Phillips 66 shelves plans for oil processing projects" by Rhiannon Meyers. April 30, 2015. ↑ Reuters. "RPT-Surprise pause in Cushing oil stock rise likely blip, not trend" by Catherine Ngai. April 7, 2015. ↑ The Facts. "Sweeny ISD, industry christen petrochemical academy" by Andy Packard. January 22, 2015. ↑ Argus. "Phillips 66 files condensate splitter permit" December 8, 2014. ↑ Yahoo News. "Phillips files for permit to build condensate splitter in Sweeny, TX" December 8, 2014. ↑ Reuters. "Phillips begins FCCU overhaul at Sweeny, TX refinery" September 3, 2014. ↑ Hydrocarbon Processing. "Phillips 66, Chevron Phillips to fund new Texas petrochemical academy" Augusut 15, 2014. ↑ Houston Business Journal. "Phillips 66 breaks ground in Freeport" by Jordan Blum. August 13, 2014. ↑ FuelFix. "Phillips 66 says court supports Sweeny takeover from PDVSA" May 28, 2014. ↑ Businessweek. "Phillips 66 Considering Splitter at Sweeny Refinery" by Dan Murtaugh. March 20, 2014. ↑ Reuters. "Phillips 66 reports planned work at Sweeny refinery" November 15, 2013. ↑ Seeking Alpha. "Phillips 66's CEO Discusses Q3 2013 Results - Earnings Call Transcript" October 30, 2013. ↑ Seeking Alpha. "Phillips 66's CEO Discusses Q2 2013 Results - Earnings Call Transcript" July 31, 2013. ↑ Reuters. "Reuters. "Phillips Reports Unit Shut at Sweeny, TX Refinery" May 29, 2013. ↑ Hydrocarbon Processing. "Phillips 66 reports unit shutdown, emissions at Sweeny refinery" by Rose Marton-Vitale. May 30, 2013. ↑ Bloomber. "Gulf Gasoline Hits Six-Week Low as Phillips 66 Completes Restart" by Christine Harvey. May 20, 2013. ↑ Fox Business. "Phillips 66 Has Power Outage at Sweeny Refinery - Filing" May 11, 2013. ↑ Fox Business. "Phillips 66 Restarting Sweeny Refinery After Outage" May 12, 2013. ↑ Nasdaq. "Refinery Status: Phillips 66 Reports Flaring at Rodeo, Calif. Refinery" April 12, 2013. ↑ Nasdaq. "Refinery Status: Phillips 66 Has Compressor Problem at Sweeny Refinery" March 26, 2013. ↑ Bloomberg. "Phillips 66 Has Power Outage at Sweeny Plant, NRC Filing Shows" by Christian Schmollinger. March 11, 2013. ↑ Fox Business. "Refinery Status: Citgo's Louisiana Refinery" March 14, 2013. ↑ Bloomberg. "Gulf Gasoline Slumps as Exxon, Phillips 66 Restart Units" February 25, 2013. ↑ Nasdaq. "Refinery Status: Phillips 66 Restarting Sweeny, Texas, Units After Power Outage" October 1, 2012. ↑ Reuters. "Phillips 66 Sweeny refinery reports release from thermal oxidizer" September 11, 2012. ↑ PR Newswire. "Kinder Morgan Energy Partners and Phillips 66 Agree to Deliver Eagle Ford Shale Crude to Coastal Refinery" August 23, 2012. ↑ Reuters. "UPDATE 1-Kinder Morgan to carry Eagle Ford crude for Phillips 66" August 23, 2-12. ↑ CMBC. "Texas refiners thirsty for Eagle Ford crude" August 23, 2012. ↑ Reuters. "U.S. refinery shutdowns - Sinclair, Phillips 66, Tesoro" July 25, 2012. ↑ Reuters. "U.S. refinery shutdowns-Phillips 66, Tesoro, Exxon" July 13, 2012. ↑ Businessweek. "Gulf Coast Gasoline Gains as Phillips 66 Refinery Makes Repairs" by Paul Burkhardt. July 12, 2012. ↑ Reuters. "Phillips Sweeny refinery fixes leak on FCC - filing" July 1, 2012. ↑ Reuters. "Phillips 66 Sweeny refinery restarting" May 13. 2012. This page was last modified on 3 January 2018, at 17:08.